Telc lies in the southern part of the Bohemian-Moravian Highlands and is nowadays an important centre of commerce and culture. The town was founded in 13th century at an intersection of two main trade routes. 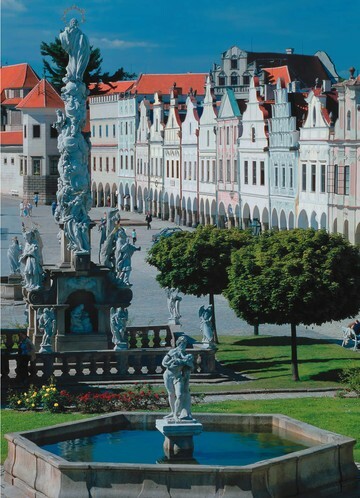 Telc is often designated a "white pearl of the Czech towns" and a "treasure of architectonic styles" and in 1970 it was declared an urban protected reserve. Due to historical value of its monuments and its uniquely preserved square, the City of Telc was inscribed on the UNESCO list of world's cultural and natural heritage.